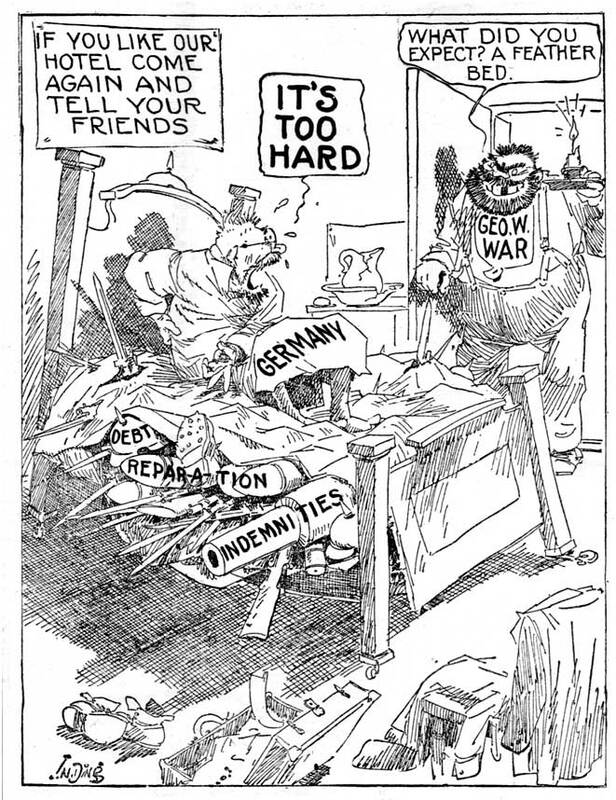 Germany´s quest for revenge after humiliation by the Treaty of Versailles. The World War I finished with the Treaty of Versailles signed between the Allied Powers and Germany. Germany had lost the war then clauses were very difficult to accept as they were very harsh. Germans could not accept such clauses so they blamed their politians for that and wanted to revenge. Politics fought against the negative conditions of the Treaty. War reparations paid by Germany. Germany was required to pay huge reparations of war . German economy was in ruins The problem with the treaty is that it left the German economy in ruins. German people were starving and the government was in chaos. Limits on German army and navy. German army was reduced to a 100.000 men, they only could have 6 battleship and no submarines as well as no airforce was allowed. These severe conditions were fought from mid 1920´s. 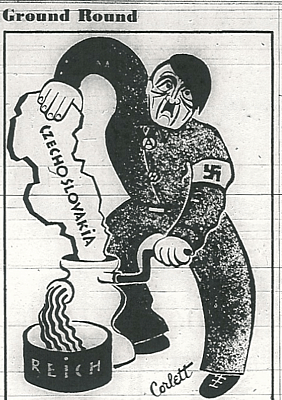 After the economic turmoil of World War I, some countries had totalitarian leaders and powerful fascist governments. The first coutry to have a fascist government was Italy with Mussolini. By 1933, Hitler and the nazi party won the elections in Germany and by 1939 Franco won the Spanish Civil War and got the power. This countires had an expansionist policy which broke the international relationships when wanted to expand empires. Rise of militarism and nationalism. Another consequence of the Treaty of Versailles was the rise of nationalism which was used by fascist leaders to gain power. On the other hand, Germany wanted to recover her military power drastically reduced after WWI. The Great Depression after the 1929 stockmarket crash spresad unemployment and misery for the working classes. As a consequence of this many governments became unstable and there was worldwide political turmoil that led to World War II.